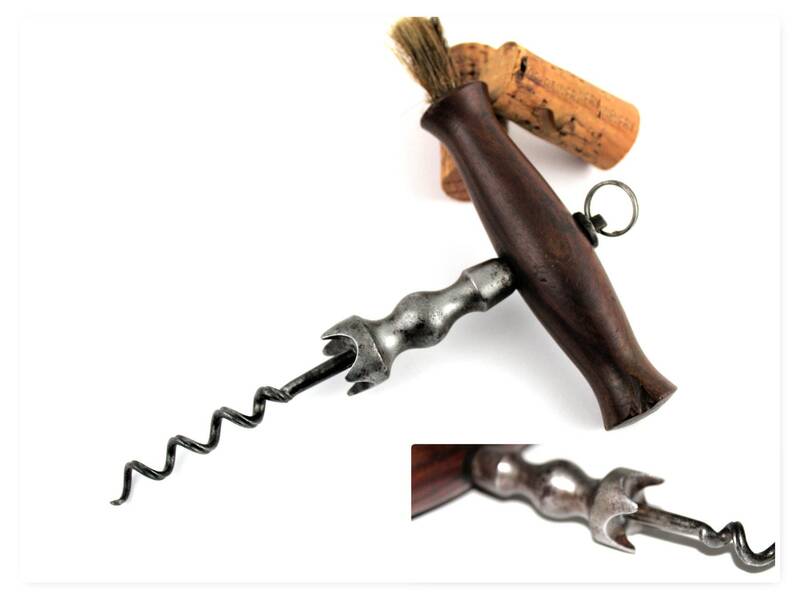 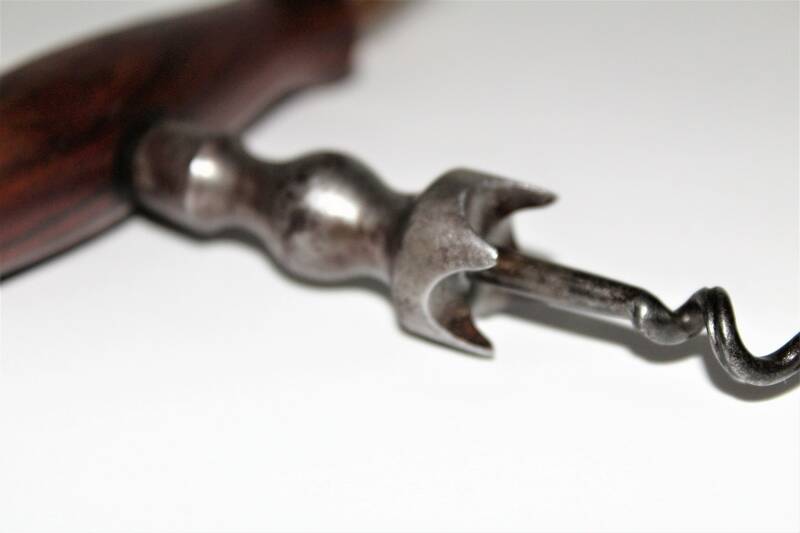 Fabulous mid 1800s English Corkscrew with some extra special features. 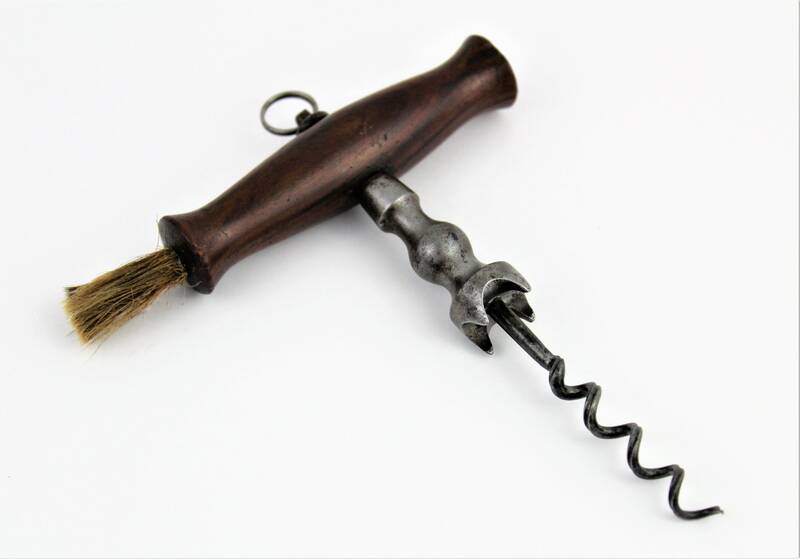 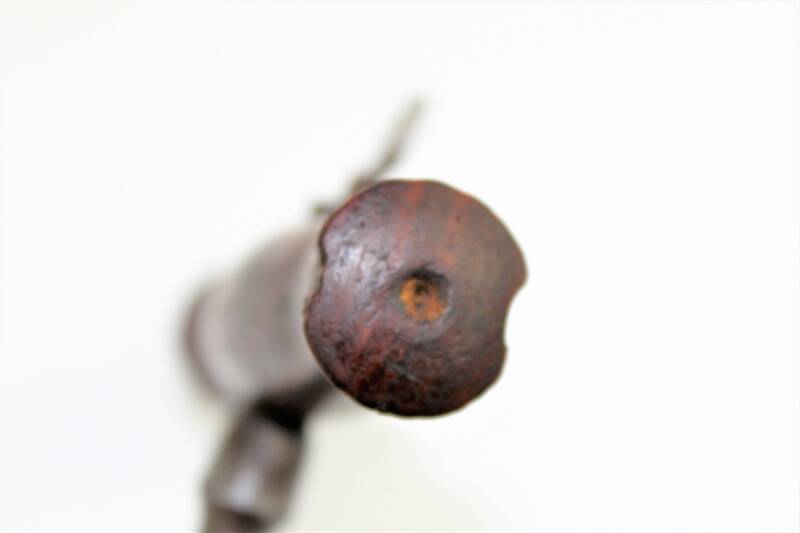 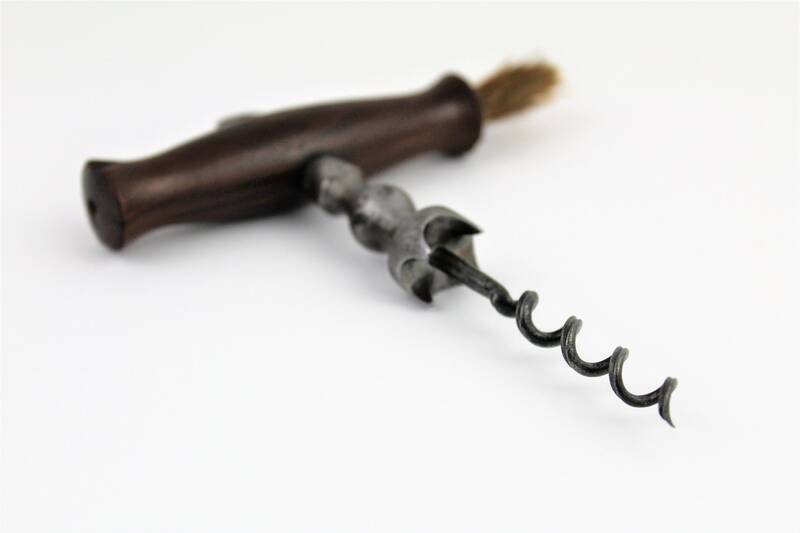 *The Deep Gripping Easer, this is the four points or teeth just above the helix these hit the top of the cork as you turn the corkscrew the teeth grab the top of the cork twisting it and releasing the hold on the bottle allowing you to pull the cork with ease. 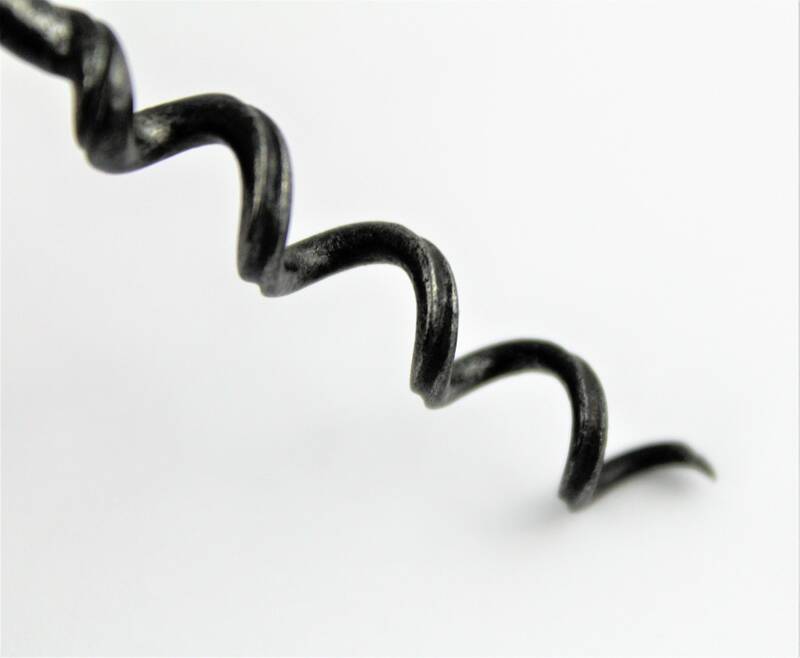 *The Wire Helix with Flute, the helix is the screw, the flute is a grove cut along the outside of the helix that allows air into the bottle once the helix breaks thought the cork, the air entering the bottle helps release any vacuum pressure inside the bottle which also makes pulling the cork easier. 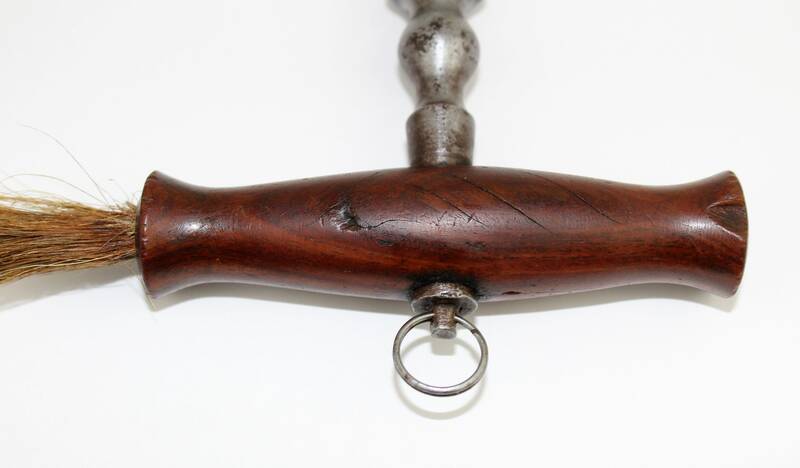 Measures; 6.5” long, 5.25” wide at handle. 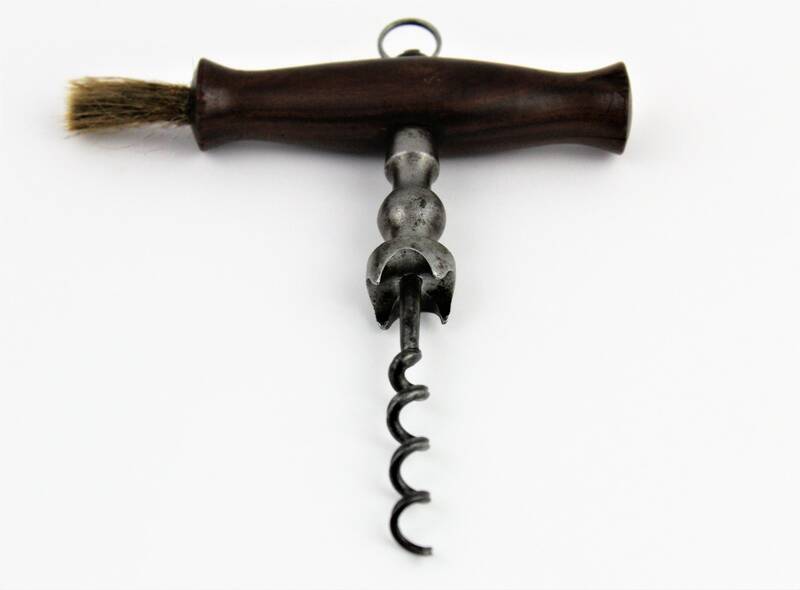 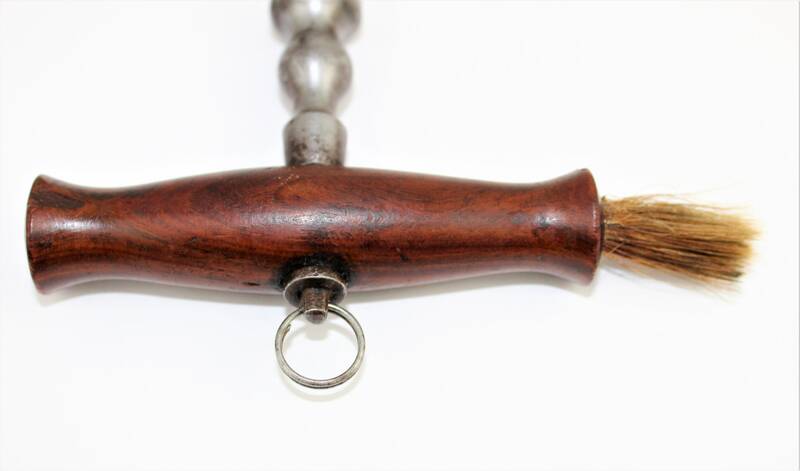 Condition; Good with chips in the wood handle and dusting brush is wore.